Do Inspectors Walk on Roofs During Home Roof Inspections? If you don’t mind ladders and working aloft, home inspecting might be the job for you. Homebuyers are quick to notice obvious things about the exterior of a house, such as the condition of the front door, the landscaping and the color of the stucco or siding. Roof systems, however, receive very little attention, despite the critical role they play in protecting the entire structure. Roof inspections are important, which is why inspectors walk on rooftops. The roof of a house is the home’s first line of defense against the elements. A roof that’s in bad shape can be a huge and expensive problem for the homeowner. Homebuyers, as well as lenders and insurers obviously want to know the condition of a home’s roof before committing to a purchase, granting a loan or providing insurance coverage. Home inspections routinely include inspectors climbing up a ladder and walking on the roof to check for leaks, defective areas and overall structure/sturdiness. This method of home roof inspection places inspectors at risk of injuries or even death from a slip or a fall, especially during periods of high winds or dampness that cause the roof’s surface to be slippery. These risks make being a home inspector a less than ideal career choice for people with vertigo or a fear of heights. Until recently the only alternative to climbing onto the roof while inspecting a home was to step back and try to locate leaks and other defects from a distance using a pair of binoculars, which leaves much to be desired. The shingles, tiles, metal or other roofing materials create a protective shell that’s intended to keep heat out in the summer, protect against cold in the winter and keep the home’s interior dry when it rains. Even the smallest issue with a roof can put the entire roof system in jeopardy. A large leak will usually be obvious, but a small drip, gradual seepage or slight ponding that goes unnoticed can cause major damage to the inside of a home over time. All it takes is a single point of entry to turn a rainstorm into a soggy and damp indoor disaster. A typical residential roof has a lifespan of 15 to 20 years, although with proper maintenance some will last much longer. An up-close roof inspection gives the inspector an indication of the roof’s age and its overall condition, which is important to the client, since the cost of replacing a roof is a major expense that directly affects a home’s market value. A seriously damaged or deteriorated roof might also make it difficult for a homeowner or homebuyer to arrange financing or obtain insurance coverage. A roof system is made up of several components other than its outer covering of shingles, tiles or other materials. Vents for plumbing, gas appliances, attic fans and other items that penetrate the roof’s membrane are potential sources of leaks, especially in older homes. 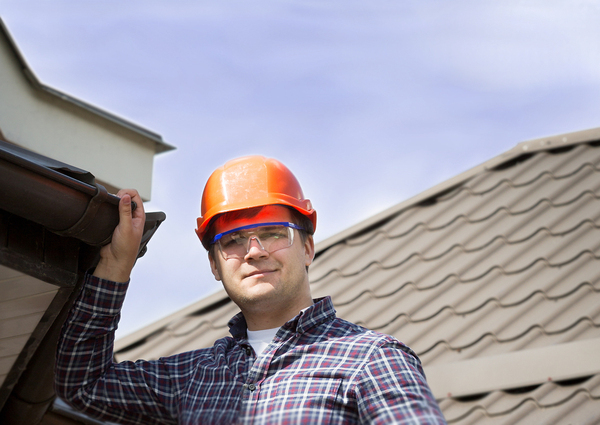 Home roof inspections also frequently uncover pinpoint leaks around chimneys, skylights and other penetrations. Flashing or sealants around penetrations are used to keep water from leaking into the home. If the flashing is missing or the sealant has deteriorated over time, water will enter the home through the penetration, which can result in rot and mold if the situation is left unattended. Gutters and downspouts are installed to protect the home from runoff during rainstorms and melting snow. If a gutter slopes in the wrong direction, water can spill back onto the roof. A downspout clogged with leaves, twigs or other debris can cause water to back up and seep under the shingles, causing damage to the sheathing beneath. In the right hands, drones make roof inspections easier and safer. Other than the obvious safety risks of climbing up and down a ladder or crossing a sloped roof, there are times when inspecting the roof from on top isn’t possible, such as during heavy rains or snow. Home inspectors should never be expected to risk being injured while conducting inspections. Regardless of the prevailing weather conditions, the weight of an inspector simply walking on a roof can cause serious damage. If the roof shows signs of sagging or otherwise appears to be in poor condition, climbing onto the roof isn’t worth the risk of injury to the inspector or damage to the roof. On buildings with flat roofs such as apartment buildings, warehouses and other commercial properties, many roofing contractors prevent damage to the roof by installing walkways with double layers of roofing material to allow access for maintaining HVAC systems and other rooftop equipment. Technological advances have made inspecting roofs faster, easier and safer for the inspector. Some inspectors now use infrared cameras to locate “hot spots,” which are trapped pockets of moisture or areas where heat inside the house is escaping through the roof. Using an unmanned aerial vehicle (UAV) or drone, home roof inspectors can capture and record up-close still images and videos of a roof without having to climb a ladder and risk being injured from a fall. 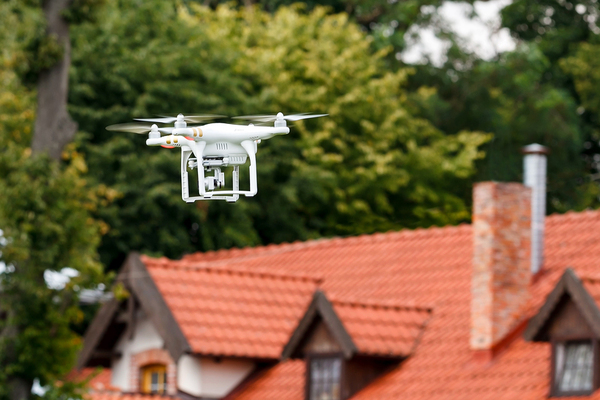 Inspection Certification Associates’ online Home Inspector Training Program now includes a training module for inspecting roofs with drones, which is a feature you won’t find in other home inspector training programs. Have you been thinking about starting a new career as a home inspector? ICA’s online home inspection training offers a fast, convenient and affordable means of becoming a certified home inspector. To watch a video demonstration of an ICA online training class, click here. You can also contact ICA online or call us at 888-374-4096 for more information. Do Home Inspectors Go in an Attic?